Each person has some kind of goal in life. Everyone aspires to become successful in a specific field for different reasons. Some who are fortunate and were able to achieve higher education wish to climb the corporate ladder or establish their own business to give justice to the hard work they had to go through in the academe. Others strive to improve their financial stature and get past poverty and live more comfortably. Throughout the whole process, people who wish to make a difference in their life would generally start out strong. The sense of urgency, along with the enthusiasm to transform, is high during the first few steps. They eventually become tasked to lead others and even the whole business. As time goes by, these leaders become fatigued and they start to doubt themselves. This is where the “quit” in a person usually presents itself. So, what causes people to suddenly stumble and prevent them from reaching their goals? People fail to sustain the high level of energy they show in the early stages of the process because they burn themselves out. They do more than they can possibly accomplish, which takes away a lot of their energy. Once people tire themselves, they grow impatient and think that their efforts are wasted. When people get ahead of themselves, they usually crash and burn. It is important to plan prior to engaging into various activities to reach your goal. This will prevent any unnecessary utilization of important resources. Having a plan will help you focus all your energy on things that are relevant, which will make it easier to be where you and your business should be. The lack of desire to finish something you have started is deadly. People who don’t see the purpose of continuing their journey is a product of lack of proper motivation. Even the most regarded of leaders fall to this conundrum. One of the best ways to counter this is to find a person who will motivate you to be the best leader that you can be. 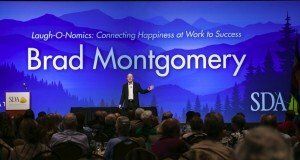 Brad Montgomery believes that better leaders inspire loyalty, reap higher performance from their teams, and develop closer bonds with their employees. 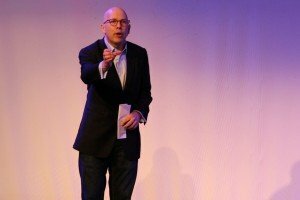 As a leading corporate speaker, he can motivate managers and other business leaders to inspire the whole team. Get in touch with us now for a consultation. As an employer, it’s important that you keep your employees satisfied and motivated at work to keep their performance levels high. This high level of productivity is necessary for your business to become a success. But with all the things you need to keep an eye on, you may be ignoring some significant issues. Your workers are evidently more productive if they spend a sufficient amount of time on their work. You may not notice it, but meetings are one of the biggest time-wasting activities in a company. As much as possible, limit meetings only to the most important discussions and keep it to the point to avoid wasting time. Setting deadlines is already a norm in companies, even in schools. But if you set target dates for their output, make sure you don’t resort to too many extensions. Chances are, your employees may slack off and your business will pay the price. Every minute wasted in the process is a loss of profit also. Commitment is a key to productivity. But dedication to work is good to a certain point only. If your employees blur the boundary between work and life, they are more prone to stress and burn-out, which decreases efficiency. Devoted workers are a gem, but over-dedication may also cause unproductivity. You shouldn’t ignore these common productivity problems; rather, you must handle them immediately or even before they happen. There may be a lot of solutions, but the most effective one is to take your employees to the same page you’re on. Make sure they also have the mindset to increase their performance level. With the help of a keynote speaker, you can achieve this goal. Studies show that employees who attend such presentations learn to be engaged at work. 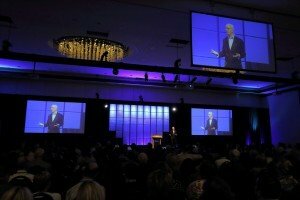 A keynote speaker has the tools essential in shifting the perception of employees towards their performance in a good way, leading to better productivity. Productivity is one of the main components that lead a business to success. It’s essential in keeping the company performing well and achieving greater heights as an organization. Here at Brad Montgomery, we offer presentations for productivity to help your company attain increased levels of efficiency. Contact us now and let us teach your workforce the means to be more fully invested in their work. Imagine this; Paula is a talented employee, but she has little patience for others in the organization. Whenever someone makes a mistake that affects her work, she immediately gets intensely frustrated, and fires accusations – which border on insulting – at the offending party. On the other hand, she rarely ever admits her own shortcomings, or acknowledges the contributions of others. She is always intensely negative and has a habit of “keeping score”; why should she help out a different group when they haven’t done anything in return? She might even go as far as to badmouth the other departments to her own people, widening the rift and creating more unnecessary enmity within the company. Talk about not being a team player. This attitude has started to demoralize everyone that comes into regular contact with her, and more people are coming to you to complain about it. Is it time to let her go, despite her valuable skill set? While most managers would agree, you might want to hold off on that decision for a while longer. Paula might be a fictional person, but I’ve met plenty of managers who talked to me about similar problem employees. Dealing with a person who has an uncooperative and belligerent attitude is always difficult, since they don’t really think that they are doing anything wrong. Sure, they might admit that they are a bit “blunt”, but they believe that they are simply saying what needs to be said. You have to keep in mind that these people are not always intentionally malicious. They might simply struggle to find common ground with people from other teams or departments, and feel like they are carrying an unfairly large burden on their own. A common sentiment among the chronically angry is that they think that they are the only ones who care about getting things done right and on time. This is not an excuse for their poor behavior, but seeing things from their perspective may help you get through to them. Sit them down for a one-on-one meeting, and ask what’s really bugging them. Talk about their biggest frustrations, and what they wish would change. Before tackling their problematic behavior, making them feel like you are hearing them out first can go a long way. Sometimes, letting people go really is the only option, but you would be surprised at how much good the right words can do. Do you need further help in making your staff happier and more motivated? Give me a call, and I would gladly help. Whether we like to admit it or not, money is one of the reasons we come to work. We get compensation for the work we do. “I’m only doing this for the money” is a phrase I hear many unmotivated, uninspired employees say. Money, however, can only go so far in motivating people to come to the office, work, and be happy with what they’re doing. Yes, employees need fair compensation to avoid creating any unneeded contention about not being valued, but overpaying does have its pitfalls. It does little to motivate people to work hard in achieving company goals. Sometimes, money just isn’t enough. When that happens, here are a few alternatives to keep everyone engaged and interested when pay does not motivate. Appreciation is one of the greatest motivators. In my years of experience working with hundreds of companies, I know that a few kind words go a long way. Simply showing appreciation for an employee’s hard work, initiative, enthusiasm, or work ethic incites more of that positive behavior. I’m not saying managers and business owners don’t appreciate their employees enough; it’s that the management often forgets to express that appreciation. A simple, heartfelt “thank you for your hard work” can do wonders in motivating people. When it comes to rewards, a well-thought-out gift is always better than a random one. Rewarding employees for a job well done through a gift that’s deeply personal and meaningful shows them you care. You put in the effort to get to know them and you cared enough to know their favorite something. That is more valuable in motivating them than a measly raise. Managers and owners who are controlling often make employees less productive. You’d be grooming them in a way that makes them afraid to move forward without constant approval. One way to boost motivation here is to let go. You’d be surprised to see people working harder when you let them work on their own terms. Don’t throw out office and company guidelines, but know that it’s okay to be lenient from time to time. One great compliment I can always instantly give is lending an open ear to the people around. When was the last time you really listened to your staff? Sure, you had a meeting this morning but was it really a collaborative meeting, or one where people just sat around the table and listened as you barked orders? Listening to the ideas of other and implementing when appropriate is a big step in empowering employees. Money may make the world go round, but there’s a lot more to happiness and motivation than green paper. If you’re having trouble with company morale, productivity, or any related issue, I’m the guy to call. My name is Brad Montgomery and I’d be happy to lend a helping hand. Connect with us today and know more about the power of motivation. Motivation is what keeps you going. If you lack it, you’ll end up hanging and struggling to move forward. 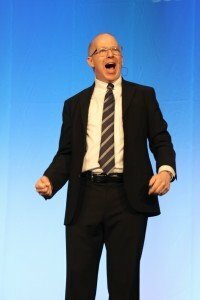 Hiring a motivational speaker is one of the best ways to unleash the leader in you. 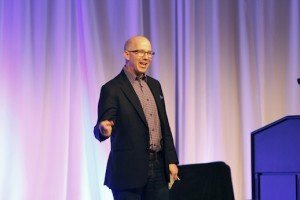 Keep in mind, however, that even the most trusted speakers like Brad Montgomery believe that motivation starts with the listeners. The speaker’s role is to share tips and experiences to inspire. It’s your responsibility to motivate yourself after. Here is a list to help you gain a better understanding of yourself and the things that keep you from motivating yourself. Fear keeps you from doing things that may benefit your business and your team. You’re afraid to take risks, to fail, or to lose. Don’t let your fear become a hindrance to success. Brad Montgomery can help you discover ways to overcome fear and stay on track. With fear comes anxiety and low self-esteem. You can’t make good decisions when you’re afraid of the possible outcome. Every motivational speaker suggests that you believe in yourself and your team. Remember that you’re a leader, so act like one. Your people will be inspired if you show them how confident you are. Be confident, but not too confident. You can’t get better if you think you’re the best. Always recognize your weaknesses and find ways to turn them into strengths. The aspiration to learn more and get better will keep you going. Goals, combined with patience and hard work, will guide you towards success. Identify all your business objectives and always remind yourself how important they are. This is a good form of motivation. 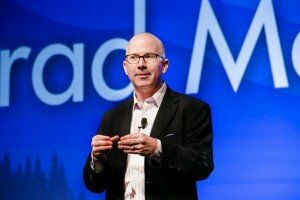 Brad Montgomery provides educational, inspirational, and engaging presentations. He can customize an event to suit you and your people’s needs. Call 303-691-0726 today to book an appointment with the National Speakers Association’s CPAE Speaker Hall of Famer. Behind the success of every company are people who are not just talented and experienced, but also happy. Have you ever wondered why your employees are no longer performing as well as they did? You feel they have the technical skills and years of background to excel in your field, but why do they still fall short? Happiness is the key, and the problem is most companies underrate it. Science tells you that smiling is highly connected to producing. Tons of research have shed light on the connection between happiness and success—improves productivity by 31%, task accuracy by 19%, and sales by 37. If you don’t pay enough attention to the level of engagement or contentment your employees have at work, chances are your top talents would exit the door and take with them the endless possibilities they could bring to your organization. Rewire the brain to be optimistic at work. Good things and bad things happen to everyone every day, but they can develop a positive attitude if they focus on the upside. Ask them to write down the things they love about what they do. Discuss the positive things your team has accomplished in the past 24 hours every morning. Feel free to tailor these exercises according to the nature of your business. The point is, you have to train them to look at the bright side. And it takes about 21 days to develop these constructive habits. Most people don’t want to fail if they know the work is theirs, right? Make your employees own their work. Tell them they’re responsible with what they do, as if their name is tagged on to the product. The logic is they earn the reward when the customer is satisfied and are accountable otherwise. Peer support is paramount, but the real question is who’s giving and who’s receiving. A CNN article explains that those employees high on provision of support are more engaged at work tenfold and have a 40% greater chance of getting promoted in four years. Happiness is a decision. Your employees can choose to be happy if they want to, but they might not like the status quo that’s why they choose not to. Let Brad Montgomery plant the seed and help you grow the culture of positivity in your office. Contact us today and have one of the best motivational speakers on board. https://www.bradmontgomery.com/wp-content/uploads/2018/11/logo-1-495x198-1-300x120.png 0 0 admin https://www.bradmontgomery.com/wp-content/uploads/2018/11/logo-1-495x198-1-300x120.png admin2016-10-19 10:49:522016-11-01 15:03:54Is Mr. Happy Also Mr. Successful? Motivational speakers make a living out of encouraging people to do the things they have always wanted to do to become successful. Even with all the confidence and energy in the world, motivational speakers are still human and need a pick-me-up once in a while. 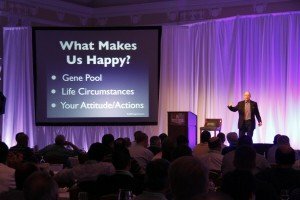 What do motivational speakers do when they need motivation? One of the most important keys to becoming successful is to keep a reminder of your goals. People often lose the will to pursue their dreams when they forget what they are working for in the first place. The ones who give up on their goals do not really lose the passion they once had; they are just not looking in the right direction. Goal reminders can come in different forms; it depends on what speaks to the person the most. Some try a motivation board, where people cut out pictures representing their goals and stick it on an attention grabbing section of a wall. These boards are different from generic posters, because there are specific items there that people can latch onto. A similar technique is the motivation list. This strategy is a bit more specific, as it needs to outline observable results before anything can get crossed off the list. The list works best for people who like itemizing their priorities and accomplishing tasks one at a time. A person needs to include how they plan to achieve that goal with sub-points; the more specific the better. One tactic that is growing in popularity because of its powerful effect is the video reminder. People record themselves before they begin their foray into the world, stating the reasons they want to do what they want to do, and then keep it safe. Every time they feel discouraged, they can look at the video and feel the optimism they once had surge through them again. There are many ways for people to motivate themselves and keep doing what they’re doing; they just need a little re-focusing. That is not an easy task to do alone, however, so contact us today if you want to know more about how you can recapture the passion that helped you get this far. Making employees work longer is never a viable solution for improving productivity. With this kind of strategy, any management is risking unhappiness and dissatisfaction. Companies are always looking to increase their bottom line from the ground up. They key is to get people working in harmony at maximum efficiency. But, how do you do that? There are people whose true calling is to work, while some are content doing bare minimum for a day. A great recruitment process will enable you to identify the former, the ones you want to hire. With a scheme like this, you can steer clear of the coasters. It doesn’t always have to be a workaholic: someone with a positive attitude is always a welcome addition to any team. It’s no secret that financial dividends motivate employees to maintain their current run of form. It also helps them to stay in the same organization for a long time. Any company would like to retain their most skilled workers, and with rewards, you are one step closer in attaining their loyalty. Taking a break doesn’t always have to be on the beach or somewhere far away. Sometimes, an employee just needs a change of scenery. Maybe it’s because he or she is in a rut or the current office environment is too toxic. It’s good to let them work at a remote location. Whether it’s their home, a coffee shop or a quaint restaurant, let them get back on their groove on their own terms. It can be frustrating working on a computer that doesn’t have enough power and capabilities. Employees are stuck running only two programs at once. More often than not, it gets stuck. Getting competent IT professionals and top-of-the-line PCs or laptops will cut downtime and increase productivity. Having one brilliant employee is fine, but a team is better. Collective effort will solve problems faster. Put the brilliant employee and let that person distribute helpful knowledge that could help everyone. 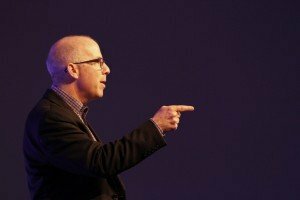 You can also rely on Brad Montgomery to motivate your personnel. He takes pride in speaking to the heart of the matter, in terms of greater business productivity, leadership and goals, but also directly to the people involved in making the products, fulfilling the orders, managing the office and getting business done. For more useful motivational tips, turn to Brad Montgomery. 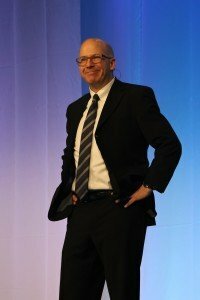 Get in touch with the top professional keynote speaker today to learn about different ways of enhancing every level of your company. As we spend more time in our workstations, we work even harder to achieve that mythical “work-life balance.” We take lunchtime walks, adjust our time commuting to avoid traffic, switch jobs to ones we actually like, and make changes (big and small) just for the sake of being happy. Many do not realize, however, that the biggest mood booster could be sitting in the workstation right next to you. A recent study by Virgin Pulse identified what employees love most about their jobs. Respondents said it’s not the office or the work, but the company we keep that makes the 9-to-5 gig enjoyable. Nearly 60% of the respondents said their positive relationship with employer boosts their focus and productivity at work, and 44% say it lowers their stress levels. The results of the study reinforces something many have long been following—that showing some love to employees and making it clear the company cares for them is a great way to boost engagement and win them over for the long haul. This is what our presentations always emphasize. 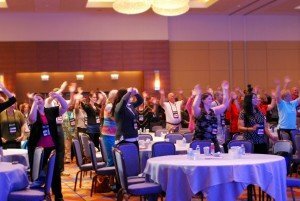 We give talks during meetings and events to help organizations improve in terms of leadership, marketing, motivation, and productivity. We do this because we understand that a happy workplace is a productive one; that the secret to having a competitive edge relies on how well your team performs; and that a little motivation can go a long way. The average American worker spends about 47.5 hours a week in the office, with some spending more time with co-workers than with friends or family. This just shows the importance of keeping everyone happy and motivated in the workplace. Social connections are essential to our health and well-being, especially at the office. Employers are starting to see the importance of these connections, with many taking steps to reinvent the workplace and make it more productive. Camaraderie and motivation at work have been found to not just make for happy employees, it also makes for a more effective business. Employees that share closer bonds have an easier time dissolving dissatisfaction, which then makes them more likely to work productively and stay in their current position longer. This is one of the things our services can help you with. We may log more hours in the office than we do at home, but at least we have colleagues who make it worth our while. Giving them a morale boost through our presentations could definitely make it worth their while. Get in touch with us today and find out how we can help in making your organization a happier one.